So yeah? Did You lose all the files in the “poita accident”? That happened after he sent me back the reels and the scan, but the HD was broken when I received it. And right after that, he had this big crash. Yes it was awful, and cost us both a great deal of time and money. 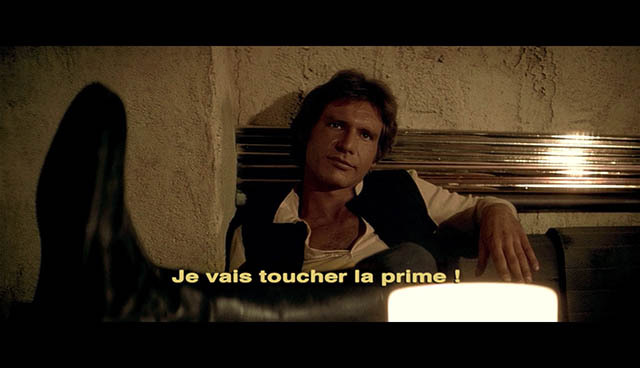 However, the opening crawl and titles, and end credits and soundtrack were saved, the rest of the print doesn’t really differ from the English versions, so the parts scanned will still be of great use for restoring a French version. That’s right but I will try to scan them anyway because I want to preserve the reels. Once again, thanks for your work, we had bad luck. I had them on my hard drive, but thanks to share them one more time. 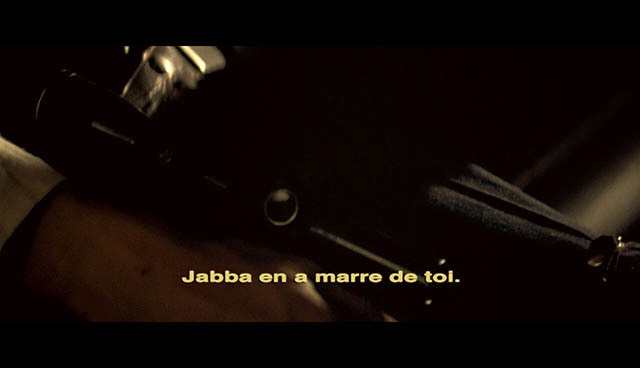 I still have the French ESB 16mm crawl and credits that were posted a while back if that would be any help. I think they were from Poita. Edit: The files are “reel-one.avi” and “reel-three.avi”. Both are 1080p. I think I have them too, but not really sure, I will check that and if I don’t find them, maybe you can put them online. 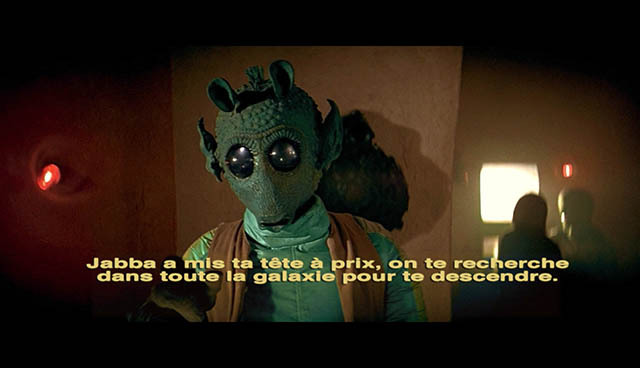 I always watch Star Wars in french and having a despecialized version with french crawl/credits would be amazing. 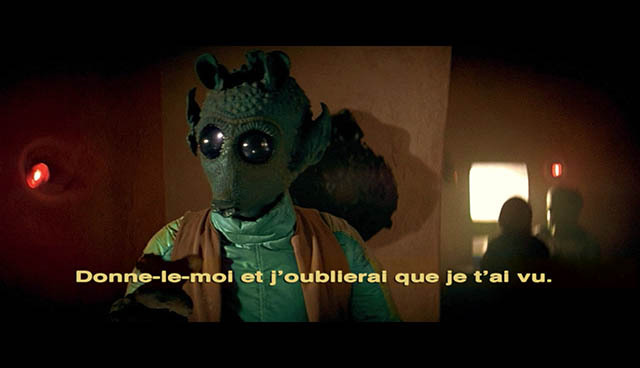 Do you know that ANH despecialized is already available in full french ? All that looks very nice Yotsuba, good job ! I didn’t have much time to work on the french trilogy for the moment. I have done a new “capture” of the ending credits of ESB from the 16mm reel. It is more readable than the VHS capture. That will my new reference. 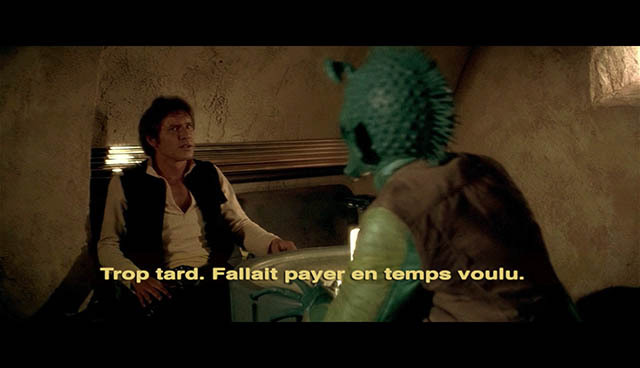 Also, does anyone know if the tractor beam controls (around 1h23m) were subtitled in the French theatrical release? 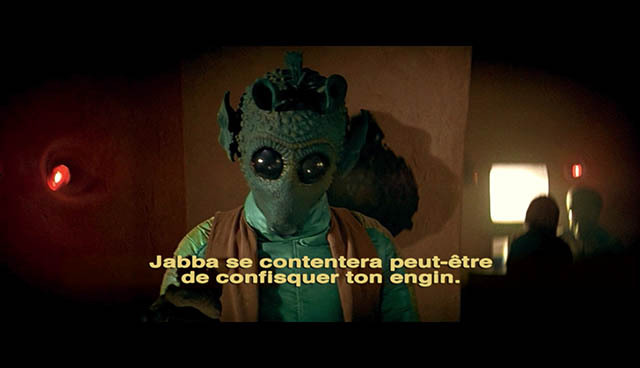 In the french 16mm reels there is no subtitle for the tractor beam controls. Once again, good work ! “Le guerre des étoiles” sound very good in French, no doubt. But it’s hard to find what a perfect translation could be. 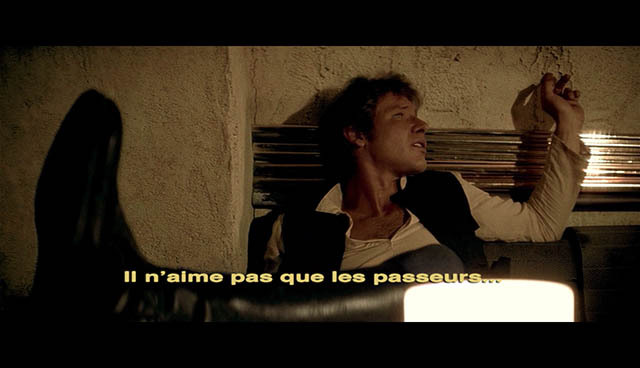 The difficult thing is to know what exactly means “Star Wars”. Can “Star Wars” be understood like “Guest Star” and meaning something like “Famous Wars” ? Then a translation could be “Les guerres célèbres”. Right. Did the germans change some name like in the french release ? That’s bad news poita, if you need some help to rebuild your system, feel free to ask. Another great work Harmy, thank you very much. That’s great, thanks. Now I have all the materials to make the french ESB. It is a shame some frames are missing from the opening crawl. I also have the French laserdiscs if they are any help. and there are no differences that I can see other than the opening and closing credits to the English version of the film. That was what I was waiting for to begin my work on the french ESB despecialzed. Thanks a lot ! If someone wants to post images of the missing frames using the GOUT as a source, I’ll see if I have those frames on film anywhere. Probably don’t, but I will check. You have done an amazing job guys. Thank you very much for all you do for preservation, it’s brilliant ! I corrected a few mistakes, Marvins. Hope you don’t mind. No problem, I dont have a perfect english. Thanks ! 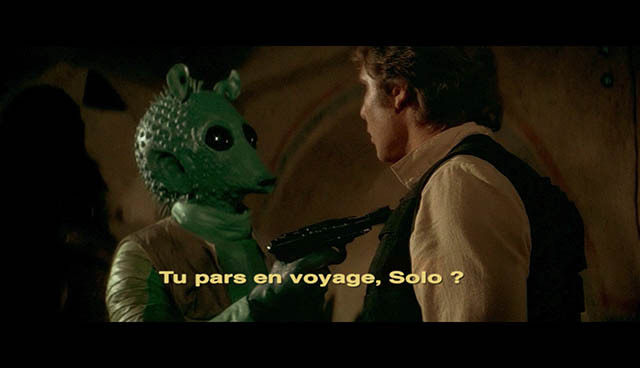 Considering the success met by the movie in the US, the French version of Star Wars will be exploited in stereo, but the installations of the SND allow only some mono mixing. Pierre Davanture puts immediately an option on the “Cathedral”, the biggest auditorium of the SIMO, in the studios of Boulogne-Billancourt. He wishes to join Jean Nény, who designed it. 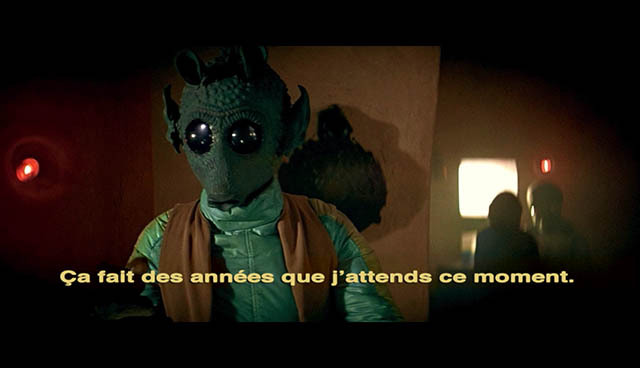 This outstanding technician makes only few dubbing, but agrees, for his friend Pierre Davanture, to attend Star Wars projection in Saint-Ouen. Jean Nény, impressed by the movie, is convinced and agrees to realize the mixing. 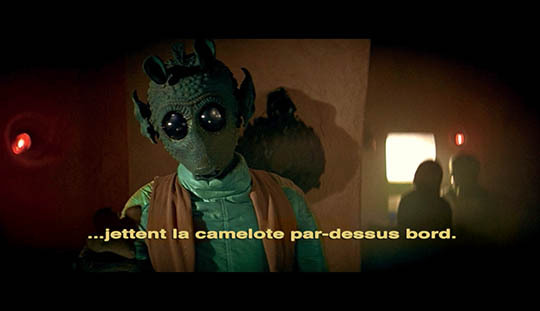 In August 1977, he locks himself into the Cathedral to mix the various French voices with the international bands containing sound effects, extraterrestrial voices, as well as John William music. 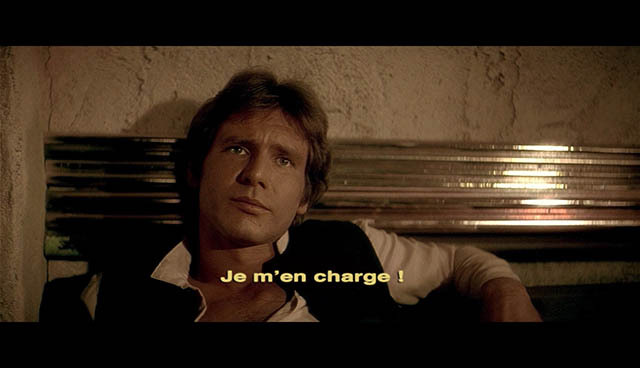 The American sound engineer Ben Burtt, the creator of Star Wars revolutionary sound universe, comes in Boulogne-Billancourt to oversee the final phase of the French version and so becomes the first spectator of La Guerre des étoiles. The work is not ended. The release prints are made in the United States and the sound is added in Saint-Cloud at LTC laboratories. The Dolby process not being used in France, the stereo mix of the French version is recorded on magnetic strips, 4 for 35mm and 6 for the 70mm. These magnetic strips are added to the film by LTC using a machine made by Pyral, company which participates, at the same time and with the same process, in the manufacturing of the tickets of the Parisian subway. So there was 3 mixes : a 6 tracks mix (70mm) , a 4 tracks mix (35mm) and a mono mix. But it seems that there are all based on the same stereo mix.